This weekly post comes from Jen at Teach Mentor Texts and Kellee and Ricki at Unleashing Readers. 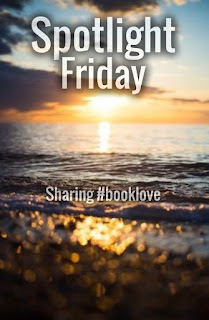 It's a great source to find new books to use with your students. February 29th is such a fun day. There's something special when you can only celebrate a day every 4 years! I spotlighted a nfpb about a very inspirational woman. This book can be used in so many units. See my review of Miss Mary Reporting. I love finding books that I know kids are going to love. Pilfer Academy is one of those books. Read my review here. This is a literary term that is newer to me - unreliable narrator. 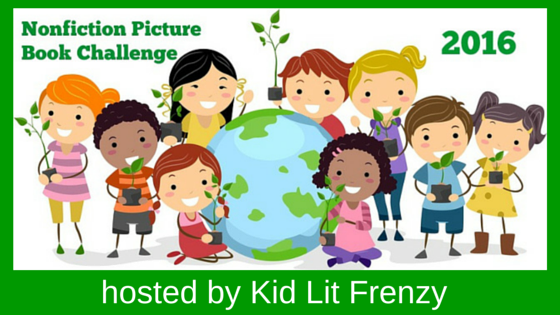 Here are two great picture books you can use to teach this. Oh, so funny! Jumbo has such a big heart and I loved, and laughed at, Jumbo's attempts at being a super hero. Great book for drawing conclusions. Young readers have to use the illustration and text to determine what the author is trying to tell us. Jessixa Bagley is quickly becoming the author/illustrator you go to when you need a book that helps explain a tough issue. In her newest book, she conquers the fears a friendship has when one person (animal) is moving. In beautiful words, she absolutely nails the words and feelings a child would have when a close friend is moving. Heartwarming ending, that stays realistic. Beautiful text to read, but also hold onto when you need a book to help comfort someone when they are experiencing the loss of a loved one. Because it is written about a sea turtle, it gives just enough distance for a young reader between what they are experiencing and the story. Focuses on remembering the wonderful thing about the loved one. Good book to use with PreK/Kg crowd. What starts out as an innocent enough question - what do you want to play? - ends up with neither side agreeing. Each character - one boy and one girl - come up with suggestions that neither wants to do. We see each character with a thought bubble that shows what they are visualizing about the other's suggestion. As the book continues, the visualizations get more and more embellished. After the usual fight, they both start playing with the same toy, just imagining a bit different than the other what they are doing with them. I really enjoyed the book up to the ending which seemed, while realistic, not very satisfying. I was hoping for a bit more common ground. But, it was realistic, and I think young readers will enjoy it. Another book about death, but this time it focuses on a character who is ill, and the other character has to watch his loved one get sicker and sicker until they pass away. This is a reality for kids and this book will help them see themselves and even help them heal and understand a bit. Again, the characters are animals which gives students a bit of space between reality and story. The characters are based on two polar bears, Gus and Ida, who lived in Central Park Zoo. My overall feeling of this book is it's fun - fun characters, fun setting (school during Spirit Week) and good theme, but I have a feeling that it will be hard to get many readers into the book. It takes place in Texas and our main character, Mya, is a hard-core cowgirl. It makes for a fun read, but I'm not sure if readers will love the cowgirl theme. I hope early middle graders will give it a try. I think strong readers in 2nd grade and 3rd graders will like the story. I'm really loving this debut book! Great new voice! Do you have new books for me to read? The unreliable narrator. By definition it is a narrator that can't be trusted. What does it add to a story? 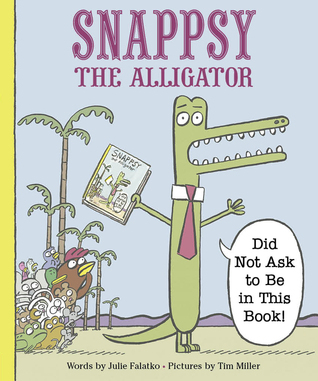 Snappsy the Alligator Did Not Ask to be in This Book! By the second layout, we can tell we have an unreliable narrator, as Snappsy talks directly to the reader, questioning why the narrator is saying incorrect things. From there on out, we see discrepancies between what Snappsy says (through talk bubbles), what we see in the illustrations, and the narration of the story. We see Snappsy going through his day with the running commentary from the narrator. Once Snappsy decides to throw a party, that's when we start getting clues that perhaps Snappsy's decisions are being affected by the narrator. Eventually, we get a glimpse of the narrator at the party scene. If you aren't careful, you'll skip right past the scene! The narrator is finally revealed to us at the end, with a sly comment leaving us wondering if the narrator had quietly coerced poor Snappsy with the party plans the whole time! Right away, the narrator in this story is different. There is no interaction between the narrator and the main character of our story, the bear. Narrating a sequential story, the reader learns what happened to the bear throughout the day. It is not until over half way through the story, do we realize said sandwich from the title, is ours, the reader's. And the bear is after it. In fact, it's the bear that ate it. Ate it and ran. And then the narrator is revealed to us. And it's not what we expected at all. Not only are we surprised by the narrator, but a little clue is given to us that the narrator, who is already unreliable, may also be up to no good. 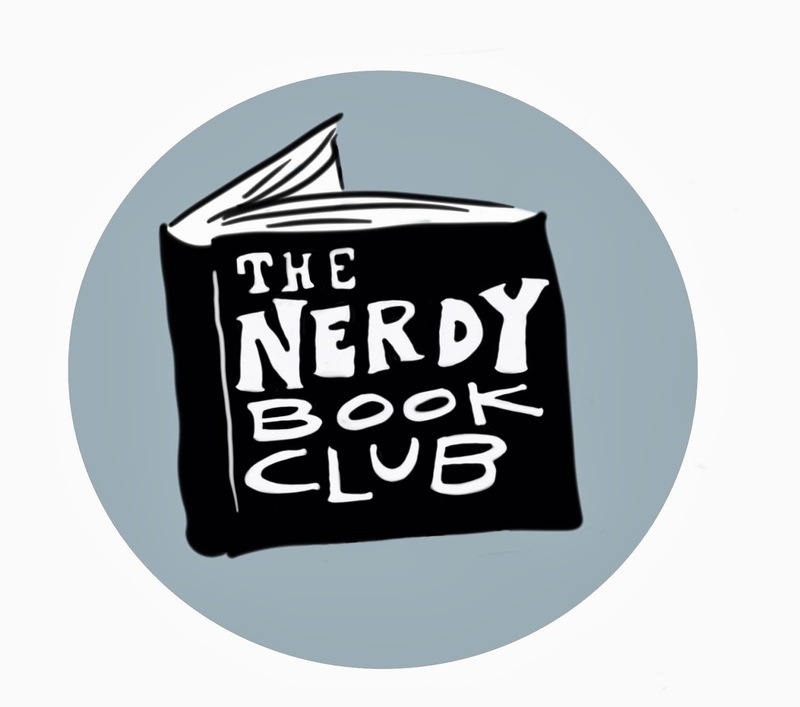 Need more books with an unreliable narrator to use with your class? Check out Betsy Bird's post with some other excellent suggestions here. Oh how I love the villains. And it's not like I really want them to win. Bottom line is I still want the good guys to end up on top. But there is something about the evil characters! Maybe it's the character development. Maybe it's that they so rarely get what they want. My favorite ones are the characters that maybe aren't as bad as we think they are. Characters like Severus Snape. Those bad guys that really have a good heart. Like Captain Hook in television's "Once Upon a Time". It's so fun to like the bad guys. When I heard about Lauren Magaziner's new book, I knew it was one that I would enjoy. The tagline of the book is "A School So Bad It's Criminal". How fun is that? Troublemaking George has never heard of Pilfer Academy, a top-secret school for cultivating young crooks, until he's kidnapped as its newest student. The teachers are kooky at best, and naughty does not even begin to describe his sneaky, smart, and morally bankrupt new classmates. Between disguise classes, cracking safes, and DIY gadgets, George becomes an expert bandit and finds true friendship with Tabitha, his new partner-in-crime. But everything is ruined when George comes to a shocking realization: He is just too good-hearted to be a thief! Unfortunately, not thieving is not an option at Pilfer Academy, and "misbehaving" students face Dean Deanbuggle's favorite punishment—the Whirlyblerg! In order to gain their freedom, George and Tabitha must pull the biggest heist the school has ever seen and reveal their true colors not as thieves, but as kind (and, okay, mischievous) kids. I loved George right away. Here was a kid that was just rascally enough that he got in trouble, but you knew that deep down, he didn't have a hard heart. As soon as he finds himself at Pilfer, you can sense that he's not sure how much this school is for him. But it's the moment when he has to do his first criminal activity in the midterm when you see the conflict within him. And that's the bad guy I love - the one who doesn't really know if he's bad or good. But every bad, or good, guy has a sidekick. Not that I would call Tabitha a sidekick to her face, she's way too tough for that, but her brash attitude and her willingness to be there for her friend, makes her a character that I rooted for! She is a character that I admired because she was willing to get in trouble to defend her friend, she stayed with her friend even when things became dangerous, and she stood up to authority because she wanted to learn! The best part about Pilfer Academy is it's a boarding school. There is something appealing to young readers about reading books that have students living at their school. I remember loving these kinds of books when I was a young reader, too! 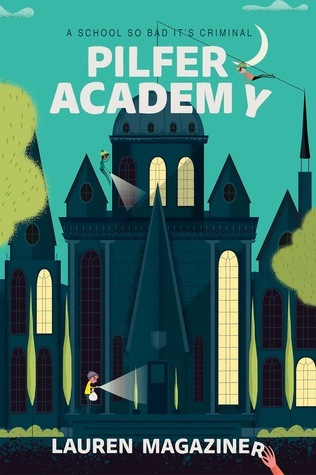 This school will have readers wanting to visit it - hidden rooms with trampolines and as much cotton candy as you want, dining rooms with the most amazing food from the best restaurants, and the softest bedding you can possibly sleep on - who wouldn't want that! 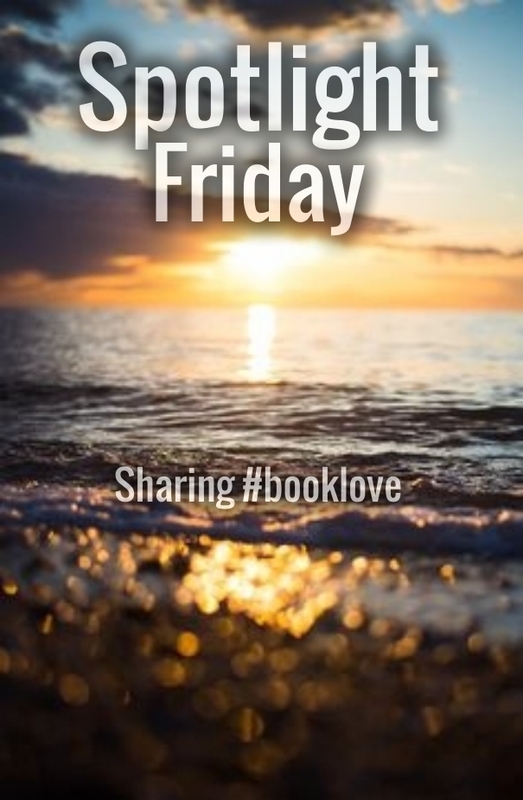 Add suspense and adventure, and you have a book that is sure to entice all readers! I had so much fun reading this book and kept thinking how wonderful it will be to pass this book on to future readers. This book has been compared to Escape from Mr. Lemoncello's Library, and I can see why - with a great cast of characters and the fun and adventure in both books! I see a great future for Magaziner's Pilfer Academy. "That's Miss Mary Garber. And she doesn't care who you are, or where you're from, or what you are. If you do something, she's going to write about you." I love this quote about Mary Garber. A woman who followed her passion in a dignified and respectful manner her entire life. We first meet Mary in this book as a young girl. The reader learns about her background and where her passion for writing and sports began. It was her father that passed along her love of sports. Taking her to games and explaining the rules, Mary was an avid listener. But she didn't only watch, she played the games she loved, especially football. And not touch or flag, it was tackle football with Mary being the quarterback! We also see that her love of writing started early, as well. When forced to write letters to her grandparents, instead of just a regular letter, Mary wrote everything in the form of a newspaper. Mary's first break came from being a society reporter. She learned to ask for help early, accepting fashion information from a friend when it came time to report what the ladies were wearing! Even as she got her first break into sport reporting - when many sports writers enlisted in World War II - she needed help knowing players names since this was before programs detailed that information! I loved reading how Mary was inspired by Jackie Robinson. She was impressed with not only his skills, but the way he handled himself in the face of discrimination. She too, felt a form of discrimination. Women initially were not allowed into the press box. Mary was not allowed into the player's locker room so getting after game comments were difficult. But by keeping her composure, Mary showed her determination and as a result, just like she was inspired by the way Robinson composed himself, others held her in the same high regard. As a result, she earned many awards, accolades and was inducted into the sportswriters' hall of fame. Just like anyone with true passion, giving up her work was difficult. She worked until she was 70, but even then, continued to work just a few days a week for 16 more years! The author included a variety of back matter at the end. A timeline and additional sources are included. It seems that with narrative informational texts these days there is quite a bit of quoted words by the subject. The question becomes are these invented lines or actual. I was glad to see that Sue Macy included the sources where she got the quotes she used. Mary Garber is someone to be admired. She was an inspiring lady who worked hard for what she passionately believed in. I hope this book finds a way into your classroom or library! 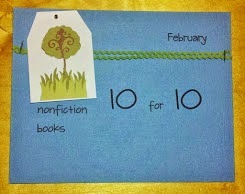 Last Friday was #nf10for10 day! 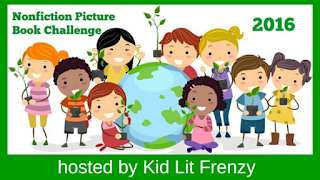 I hope you had the chance to see all the great nonfiction picture book ideas out there! I'm still going through blog posts! If you are a primary educator or have primary children visit your library, here are some must-haves. Have you heard about the book The Remarkable Journey of Charlie Price? Here is my review. There are some amazing animal books out there, but we don't teach too many animal units. Here are some other ways to use these wonderful mentor texts. 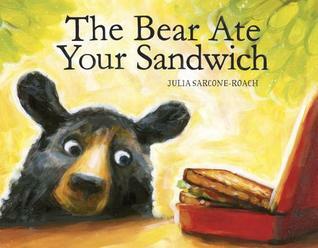 Beautiful illustrations and rhyming text make this a perfect book to add to a bear unit. Great text for young readers. I've read many polar bear stories but this one had its own unique qualities. The illustrations were centered in a rectangular box in the middle of each page, with simple yet informative sentences at the bottom of the page. Giving enough information about the polar bear, we also learn a little about what global warming is doing to the Arctic and how it is affecting polar bears. I've read a lot of books about the Arctic, but they are usually about animals or how global warming is keeping our northern most tip, too warm. This book features the beautiful Northern Lights. I loved how the illustrator, Lee White, kept the color palette in blues, whites and browns until the young girl and her grandfather arrive in time to see the beauty of the Northern Lights. I bet there are going to be some good belly laughs when I read this one out loud! Who is the wise one - the hawk or the bunny? It's the wits of a hawk vs a vegetable wielding bunny. Who will win? Pat Miller had a great Nerdy post last week about how she wrote this story. I thought it was a nice mix of believing in yourself, working hard, teamwork, and a little Wilma Rudolph history. Nice author notes in the back giving just a little background info for young readers. Very fun picture book with delightful illustrations from Cake Atkinson. A hamster seems like a boring pet when you compare it to mythological creatures like a gryphon, hippogriff or unicorn. But when you think about the needs of those animals, maybe a hamster is just what you need! Love the different mythological creatures that were included in this book! I really like the theme and message of the book. I'm not sure if young readers will pick up on the lesson of the story, but older readers will. It would be a great discussion - ordinary vs. extraordinary, what it is, what it looks like. Nell is not having the summer she thought she would have. Instead of having sleep-overs with her best friend at home in New York, she's having to spend her summer with her mom on the Outer Banks, North Carolina. And it's a trip that's minus her dad, who is across the ocean in London. Having to navigate what is really going on with her parents with having a miserable vacation, is not a good start to summer. But things start to pick up when a mystery presents itself to be solved. With a little help from a new friend, who is mysterious in his own way, Nell may end up having a good summer after all. My favorite part of this book was the setting. Having visited OBX myself, it was fun recognizing places that were mentioned (especially the nod to Duck Donuts!). The mystery surrounding Ambrose, the friend, was pretty easy to figure out, but the historical mystery was fun to read about. If you haven't listened to this series yet, run to your library now! It is one of the best narrated audiobooks. So fun and enjoyable! I am so sad that book #3 is not at either library I go to. I ordered the book, but I really want to listen to it! I'll have to keep the narrator's voice(s) in my head! Looking forward to seeing your week in reading!